Proyecto U is a partnership between Univision-Dallas (KUVN), UTA's HMI, and UNT. Students from two universities come together, work with professional journalists, and produce television newscasts airing on Univision23, in the 5th largest TV market in the United States. HMI is currently working with the Broadcast Education Association (BEA) to help organize BEA's first Latin American conference. BEA Latin America will take place in Merida, Mexico in late 2019. HMI and The NWT Group partners to develop the on-camera and technical skills required to be an effective communicator. HMI students and alumni have the opportunity to meet one-on-one with NWT professionals to secure upward mobility in the TV news industry. NWT believes and invests in HMI's vision, they understand the industry needs highly competent bilingual broadcast journalists in newsrooms. HMI works with University Crossroads (UC) to create educational environments sensitive to the needs of transfer students and first generation college students. Thanks to our work with UC and the Hispanic Serving Institution (HSI) task force at UTA, HMI was able to help UT Arlington secure a $2.5 million grant from the US Department of Education (DoED) to develop the IDEAS Center at the UTA Central Library. 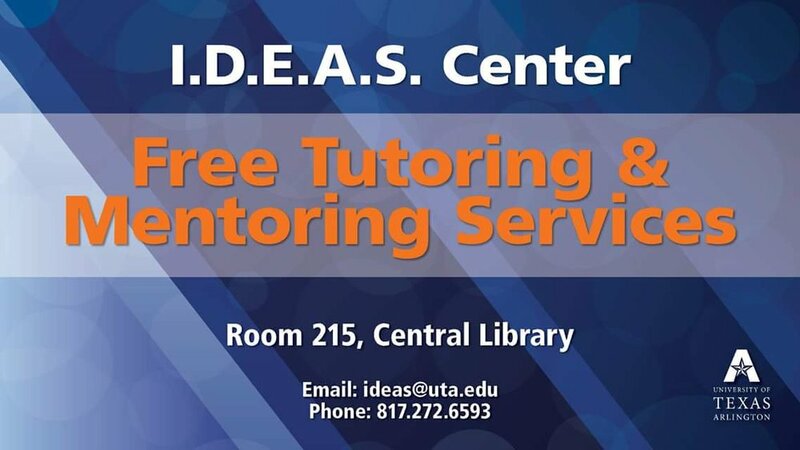 The IDEAS Center provides support to students in need of guidance and tutoring. The Center is a bastion of opportunity, especially for college students coming from underprivileged communities. 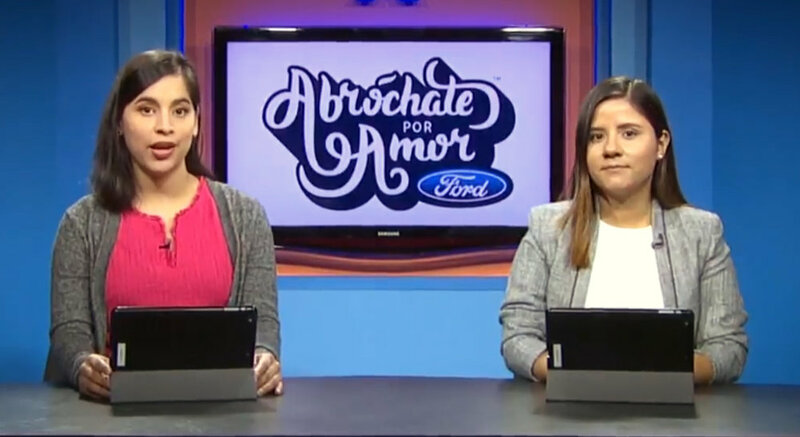 The Telemundo Station Group announced the launch of its Telemundo University training program for journalism students at the University of Florida and University of Texas at Arlington. Telemundo University is a hands-on training program created for undergraduate journalism students who want to pursue careers in local broadcast and serve bilingual audiences in the United States. The Telemundo Station Group is part of NBCUniversal Owned Television Stations, a division of NBCUniversal that includes 40 NBC/Telemundo TV stations in 28 markets. Graduates of this first-of-its-kind specialized curriculum can pursue newsroom careers at 40 NBC and Telemundo owned stations in the U.S. and in Puerto Rico. Alvaro Cabal, Ford Latino, with Vladimir Flores, HMI Alumni. Ross Video partners with HMI to develop state-of-the-art TV production control rooms to educate and graduate Automated Production Control (APC) operators. This program mirrors the systems used by the TV news industry and addresses the vast need for professional bilingual APC operators working in duopolies. HMI students are members of the NAHJ student chapter at UT Arlington. The student chapter is actively involved in fundraising, community service, professional development, and the NAHJ national conference. HMI also partners with NAHJ on media research, sharing HMI research findings with all NAHJ members. We are currently working on establishing an annual salary survey and report that will be available online at www.nahj.org. HMI and the UTA Center for Mexican American Studies (CMAS) partner in multiple interdisciplinary projects. We develop conferences, speaking engagements, cultural events, and nationally televised watch parties. CMAS promotes research and the recruitment, retention, and professional development of UTA faculty actively engaged in studies of Latino issues. Our new partner is the United States Hispanic Chamber of Commerce Foundation (USHCCF). HMI and USHCCF are working together to bring to North Texas the 7th Hispanic/Latino Media & Marketing International Conference (#HLMM2019), a highly specialized event focusing on understanding and improving the quality of content serving the Hispanic community.